Want tips, tricks and worksheets to help you manage anxiety in your mailbox? FREE monthly newsletter to feel better faster. Wendy Bradley is a Child and Family Therapist with a Master’s degree in Art Therapy and Child Development and a rare skill set, honed by years of experience working with children and their families. “The great thing about working with kids is that each time they come in ready to roll. Even if I spend only six weeks with a child, I feel like the impact I make can last a lifetime. This positive experience with me and learning that they can express themselves safely will carry forward for them in some small way,” says Wendy. Like many therapists, who work with young kids, Wendy sees the impact of parents’ anxiety up-close, and she firmly believes that the condition can have a biological thread: “I deal with anxious parents a lot, and because their children are a reflection of that, the child often has anxiety too.” So, if it is affecting your life, it’s time to talk to your kids about it. Wendy’s advice is to be honest: “Some parents come to me and say, ’We want treatment for our kids. We’re separated and we’re going to get divorced. We want you to tell them.’ And I say, ‘Guess what? They already know.’ The child is in the family, they are the first to know that something is wrong.” Well-meaning parents often want to hide things to avoid upsetting their children, but this strategy backfires. “Their children are seeing a therapist, so they already know something. It’s already affecting them,” says Wendy. “If you have anxiety and you’re struggling with it, it’s important to have a conversation with your kids. You don’t need to tell the child everything, but you can tell them that you’re having a hard time in a language they understand.” – Wendy Bradley, Child and Family Therapist. If you don’t tell them what’s happening, their little minds will make up a story, which can be way more disturbing to them. They might think that whatever is happening is their fault, which can overwhelm them and lead them to act out. One of the key reasons to have this open conversation is to give them an opportunity to process the situation with you present and guiding them, so they don’t create their own fantasy about it. At this stage in their development, children are still ego-driven. In their minds, they are the center of their own universe so they might think whatever’s happening in it is caused by them. You don’t want this kind of weight on the shoulders of your little ones. Talk to them. Wendy offers the following script as an example of how you can start the conversation about your anxiety with your child: “Mommy (Daddy) is having a hard time, so when I yell or snap at you to get your backpack or to tie your shoelaces, I do need you to do those things, but just understand that there’s something that goes on inside me. I’m trying to work on it the best I can, so I do not talk to you in a loud way that upsets or scares you. It’s not something I can always control. I might try to take medicine or go talk to someone about it. It’s really hard, but I’m getting help. We’re going to be ok.” Let them know they can always talk to you about it and keep the conversation going. 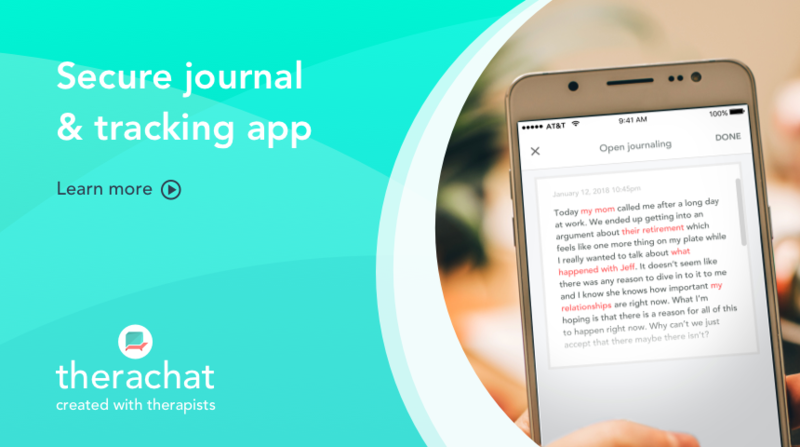 The free anxiety management mobile app, Therachat, can be downloaded in App Store or Google Play. 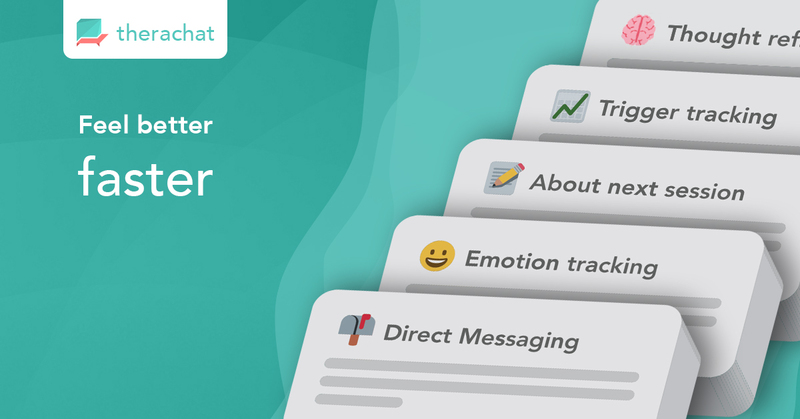 If you’re a therapist, you can sign up for the special web version of Therachat using the form below, and then add your clients to help them manage their anxiety outside of in-person therapy sessions. Learn more about the HIPAA-compliant mental health tool here. 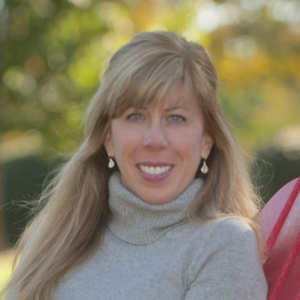 Wendy Bradley, MS, ATR-BC is a board certified art therapist with a Master of Science degree in Art Therapy and a specialization in Child Development from The College of New Rochelle in New York. For the past 18 years, she has worked in psychiatric, medical hospitals and school-based settings with children, adolescents and their families as an art therapist and family therapist. Wendy has facilitated groups for children and teens and teaches parenting classes. She has been an adjunct professor at Quinebaug Valley Community College for the past seven years. Wendy is a professional member of the American Art Therapy Association and has a private practice in Glastonbury, CT.